ATTENTION! HOTEL FAMILY TYPE, TAKES FAMILY PAIRS. Cottage "Extreme hut 2" is located at a distance of 3-4 minutes walk to the lake. Svityaz. 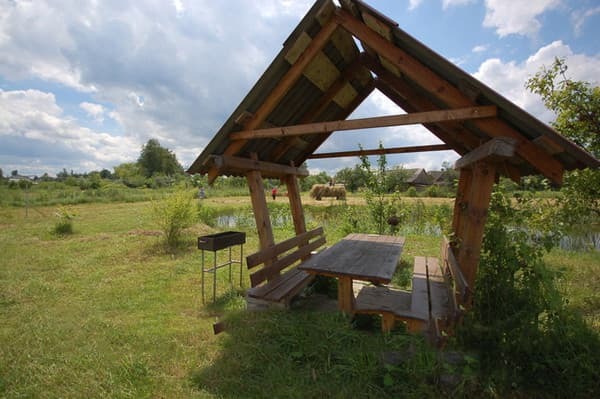 On the territory there is a pond for fishing, pavilions, 2 barbecues, a tent with a table, parking. Brick two-storey house "Extreme hut 2" can accommodate up to 10 adults. 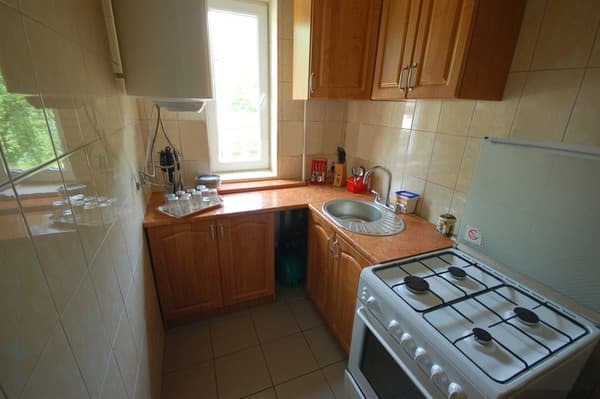 First floor: two bedrooms, corridor, kitchen fully equipped (gas cooker, fridge, kettle, dishes), kitchen-dining room, bathroom (shower, toilet, washbasin, washing machine, hot and cold water round the clock). 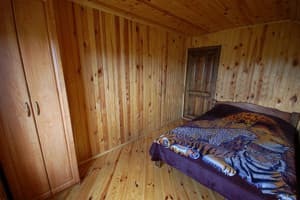 Second floor: three double rooms with double beds, large lounge with TV (satellite TV). Meals: home cooking (on order). Nearby is the beach, stop, cafeteria "Hope", Fisherman's Corner (entertaining zone, bazaars, shops, cafes and discos). PRICES MAY CHANGE, IT IS REQUIRED TO RECEIVE INFORMATION FROM THE OPERATOR. Description of the room: A room with a double bed or separate, a bathroom is on the floor. 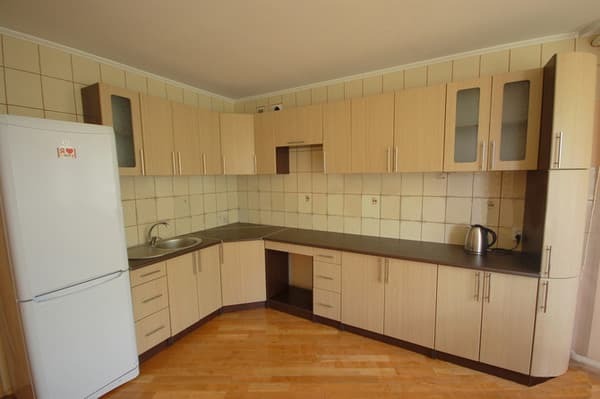 Description of the room: First floor: two bedrooms, corridor, kitchen fully equipped, kitchen-dining room, bathroom. 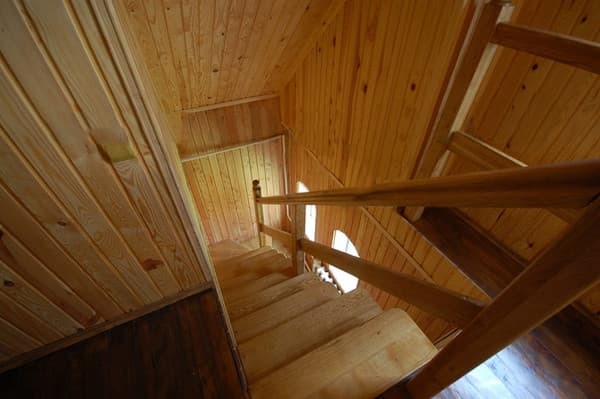 Second floor: three double rooms with double beds, large lounge with TV (satellite TV). Home cooking (on order). The cottage has an equipped common kitchen. Cottage "Extreme hut 2" is located at a distance of 3-4 minutes walk to the lake. Svityaz. Distance to smt. Shatsk - 5 km, Kovel - 60 km, Lutsk - 160 km. 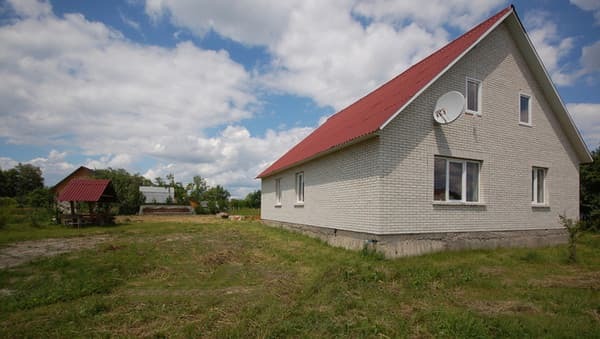 By shuttle bus or bus from Kovel or Lutsk to go to the village. Shatsk, also in the summer period buses are constantly running Lviv-Shatsk. 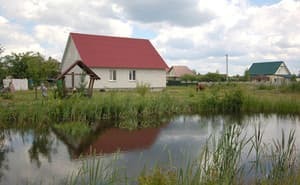 By car: From the city of Kovel along the Kyiv-state border, towards the state border, before turning to Lyuboml, then along the road towards Brest to Shatsk. From the village. Shatsk turn left to the side with. Svityaz.